Jennifer Beals was a standout yesterday(May 15th) at the 2017 NBCUniversal Upfront presentation at Radio City Music Hall in New York City. 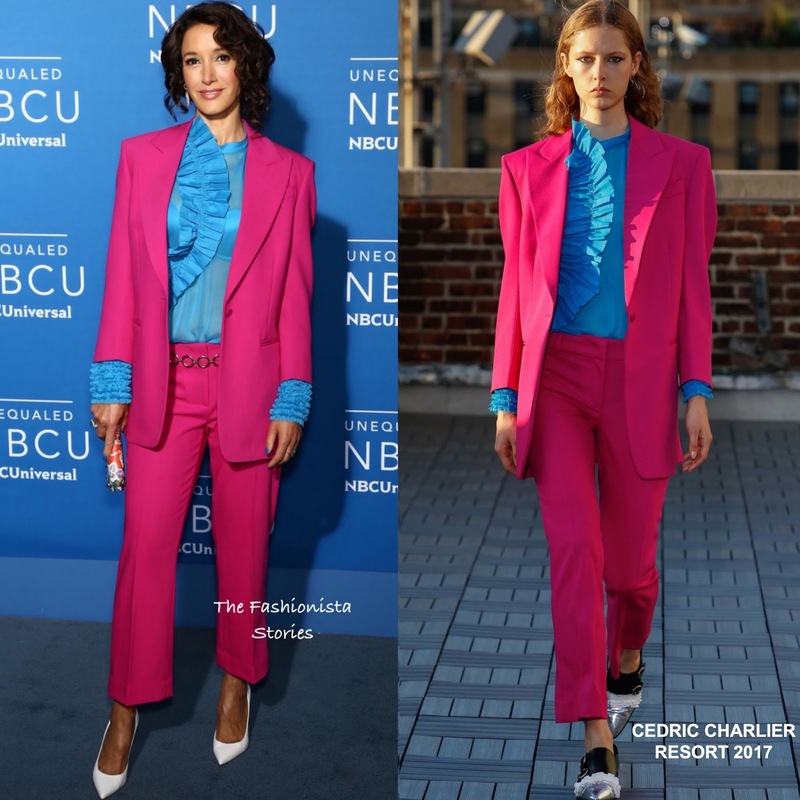 The 'Taken' star rocked a CEDRIC CHARLIER RESORT 2017 ensemble which featured a masculine inspired fuchsia two-piece suit and a long sleeve blue feminine ruffled blouse. I love this bold, chic look that Jennifer is wearing and while I know a lot of people who don't like white pumps, I think they coordinated well with her look. She finished up with a ERCIA COURTNEY ring and a spike printed clutch. Are you feeling Jennifer's look as well?